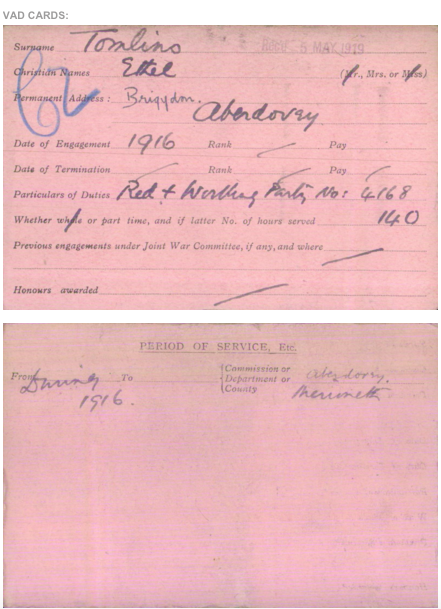 Did Nana or Grandad serve as a British Red Cross volunteer in WWI? 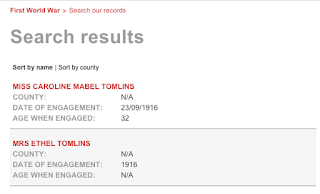 One of the websites I receive a newsletter from is Lost Cousins run by Peter Calver in the UK. While I don’t subscribe to his site I get the newsletter as I find this really useful in that he often announces when discounts are available for various sites or advises how to get more bang for your buck, informs of books of interest and of course events etc relating to the genealogical world. In his newsletter of 8 February 2016 he has provided a link to the database of Red Cross volunteers WWI (currently A-V; the rest is still to come). 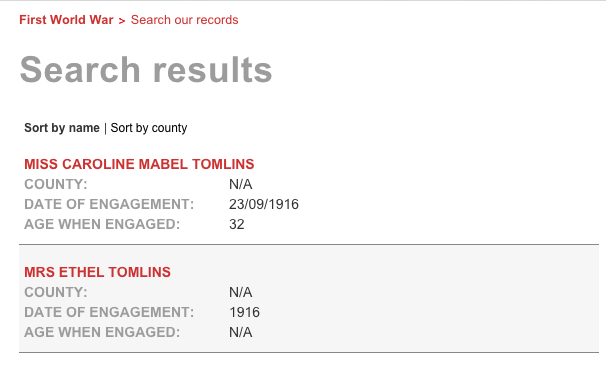 This is a wonderful database. You enter either a full name or just a surname, there is also provision for including location/hospitals and role/duties. Once you have entered the details you get a list of results (or not). The image below is what the results look like (I have cropped other information out). 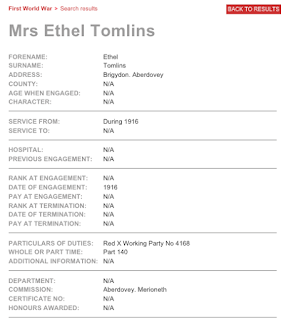 You then click on the name of the person of interest (I only used a surname) and you get a transcript of the record as well as a digitised image of the record. 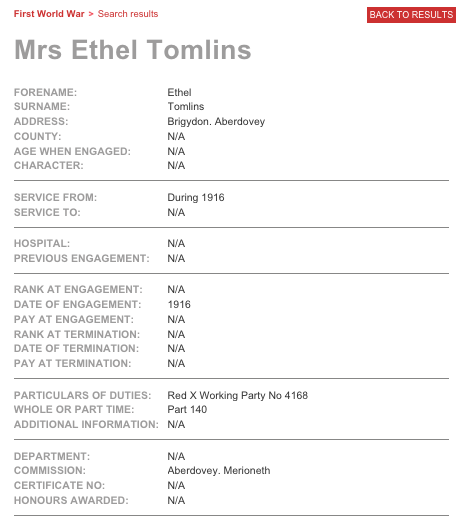 This is yet another resource you can use to find out what your family may have been involved in during WWI.